It’s springtime in Texas, and we are ready to get you camping in a teardrop trailer! Take advantage of this weather, and these prices while they last! 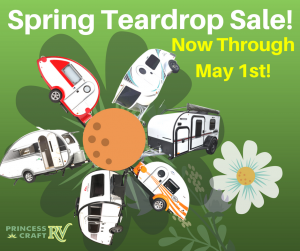 All of our teardrop trailers are on sale from now until May 1st. Did you know that you have options even with a 2000 lb towing capacity? You do! The T@G teardrop by nuCamp is a great option for a quick weekend getaway. With a queen bed, air conditioning, and a kitchen in the back, you’ll have everything you need to get up and go camping! With the inTech Luna, you have a beautiful front window giving you a spectacular view of the outdoors, even when you’re settling in for the night. Need more room? The Little Guy Max is just right, and still lightweight! With a separate dining area and bed, and a spacious bathroom, it’s everything you need and nothing you don’t. The teardrop trailer has been rising in popularity for years, and now is your time to jump in on the action! Teardrop trailers require little to no set up once you’re at the campsite. There are a lot of options for off-roading trailers as well, so you can take your teardrop off the grid for more rugged camping. Experience the ease of minimal camping, the freedom of lightweight travel, and the beauty of the outdoors with a teardrop trailer today! Click To See Our Teardrops! 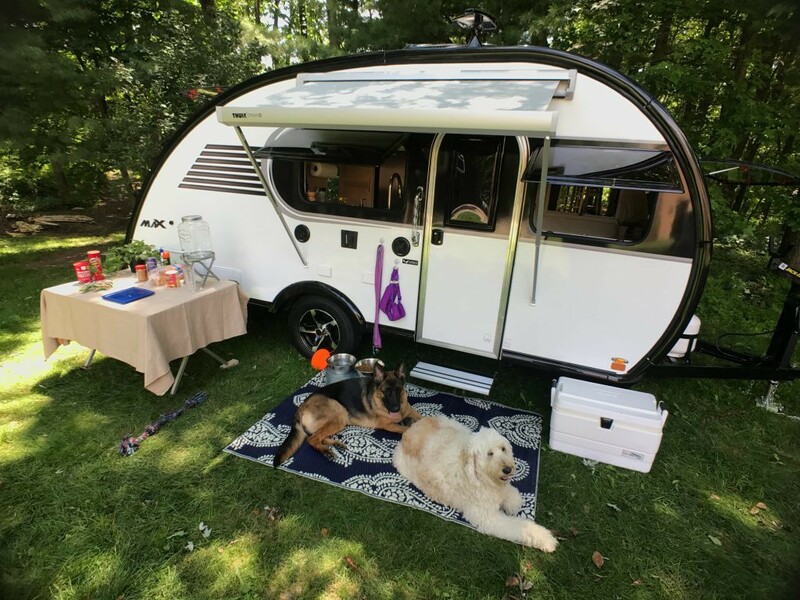 We love the manufacturers who design, engineer, and built these fun travel trailers. We work with industry leading brands like nuCamp RV, Little Guy Worldwide by Liberty Outdoors, and Intech RV. All of these manufacturers use top-notch materials like aluminum framing and composite siding for the exterior walls and roofs. You’ll find that they’ve really thought of you as campers when they designed their various floor plans. Check ’em out!